LeTv 1s has been very popular on the flash sale on Flipkart with over 30,000 units getting sold within 2 seconds on its first day of flash sale. 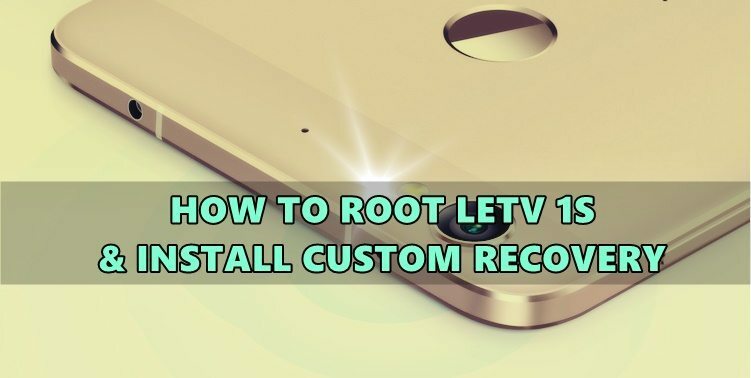 In this post, we will guide you how to root LeTv 1S & install TWRP recovery in very straightforward and easy steps. You can flash a custom recovery on LeTv 1s using ADB Fastboot method. So lets root LeTv 1s and install TWRP recovery. DISCLAIMER : Techolite & its authors are not liable at any cost. Rooting & Flashing custom roms are a risk if you don’t follow the procedures carefully. It is your sole responsibility if you brick your device or your SD card dies. Please be advised if you’ve no knowledge about Rooting/Flashing then please do not go any further. Now you have successfully installed TWRP on your LeTv 1S smartphone. The next step would be rooting your device. Step 1: Copy the downloaded file Root-SuperSU-v2.49.zip in the root folder of your SD card. This procedure will boot LeTv 1S into Recovery Mode. Step 4: When the installation is completed, Reboot your device. Step 5: Download Root Checker app from Playstore and check your device status.